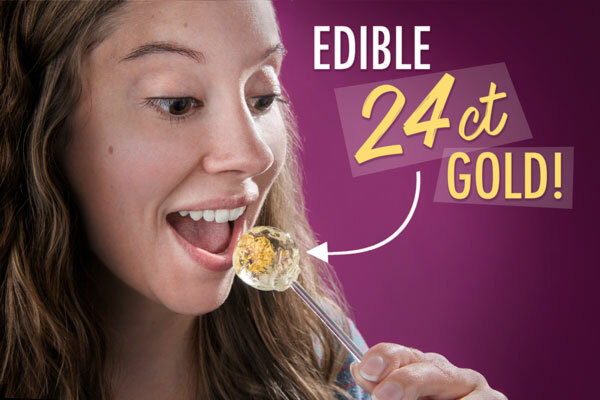 Gold Lollipops aren’t just colored gold; they contain actual edible 24-karat gold leaf! 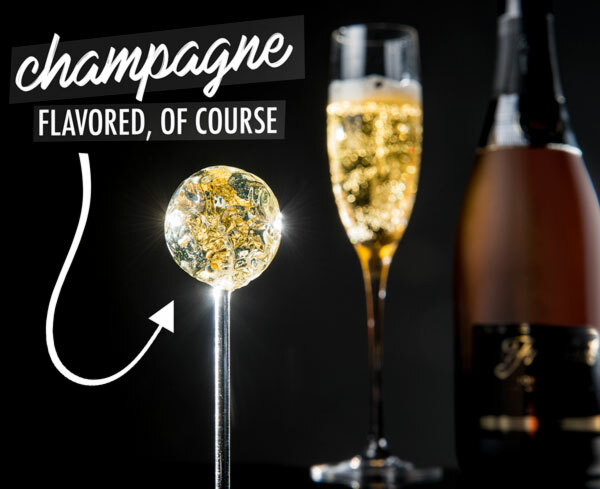 Live large and enjoy the flavor of sweet champagne on a stick. 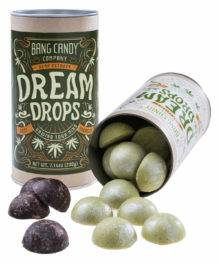 Keep licking and you’ll reach a real sheet of gold embedded in the pale yellow transparent hard candy. 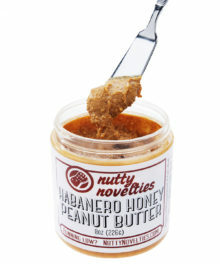 So when you feel like puttin’ on the ritz, pop in one of these posh ‘pops and snack in style. Get a taste of the good life, put your money where your mouth is, and pop in a Gold Lollipop. The sextet of lollies is made with real 24k gold leaf surrounded with champagne-flavored hard candy on a stick. Since gold won't react with your body, it's completely safe to eat. And since gold is a valuable precious metal, it's completely luxurious to eat. Lick your way to the buried treasure. 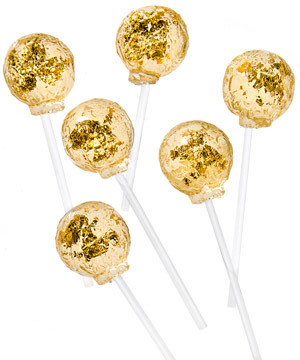 Gold Lollipops are one of the few candies you can use to make a toast. 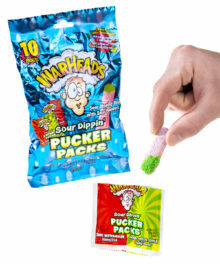 Each sucker is flavored like delicious champagne, the most decadent of drinks. While they don't actually contain any alcohol, they sure taste like a bubbly celebration on a stick! Pairs well with caviar dreams. 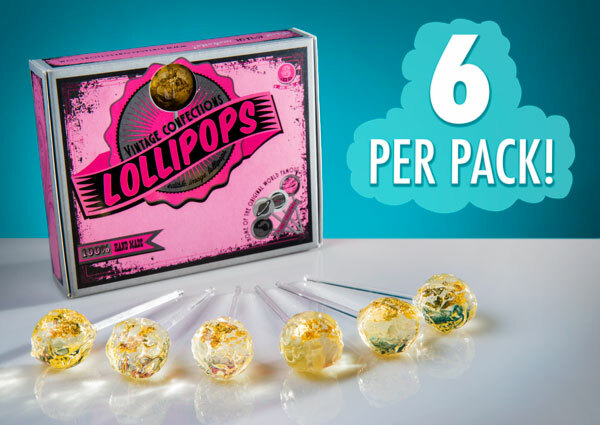 Each order of Gold Lollipops affords you six suckers. That's six indulgent treats made with six sheets of gold and six spheres of delicious champagne candy on six fancy sticks. Gives a new meaning to six-pack. Question: Will I poop gold? Answer: It's not going to turn your waste gold in color, but because gold is inert in body chemistry, it will pass through your digestive system unchanged (so you will literally poop out gold). Question: How much is the gold worth? 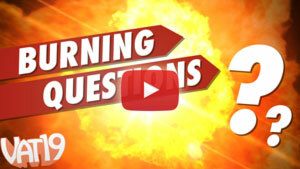 Answer: It's real 24 karat gold, but its current value is less than the amount the suckers cost to buy. 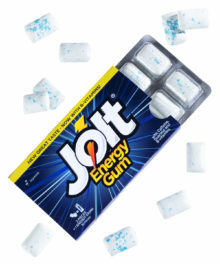 These are more of a decadent treat than a sound investment strategy.